To empower people to take ownership of their health. To assist people to achieve their full health potential by providing quality preventative, curative and rehabilitative services through a caring sustainable health care system. The Fiji Islands are a republic comprised of over 330 islands, covering more than 18,000 square kilometres. The nature of this geography poses significant challenges for the delivery of health services to a population that is dispersed over such a large maritime region. The Ministry of Health services all of Fiji under the 4 main Divisions and 21 sub-divisions including Rotuma. The Ministry of Health operates with divisional and sub-divisional departments of the Ministry of Health. 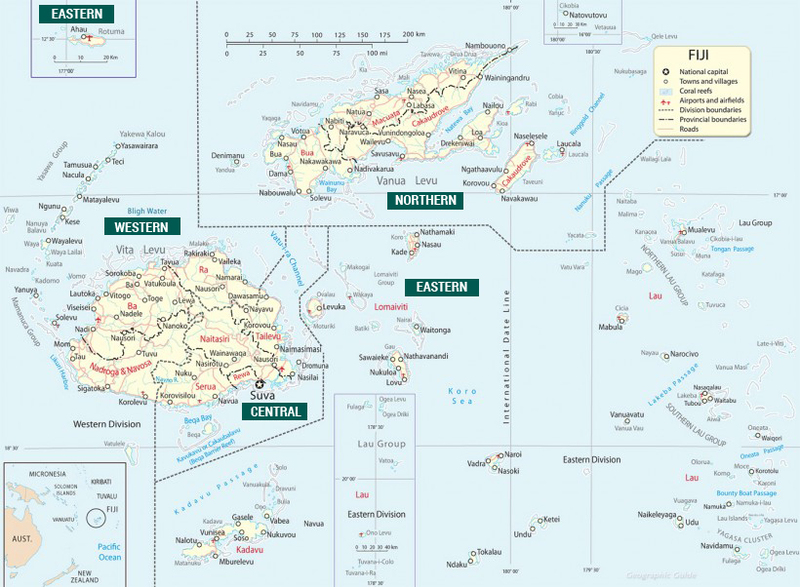 The 2007 census place Fiji’s population at 837,271 (for ease of government planning, this population is divided into four Divisions; Central – with a population of 342,477, Eastern – with a population of 39,313, Northern – with a population of 135,961 and Western – with a population of 319,611). The total rural population was 412,425 (49.3%) and the total urban population was 424,846 (50.7%) of the national population. The trend reveals a growing urban drift in Fiji’s population. The Ministry of Health delivers its services to this population, with 3 main Divisional Hospitals, 18 Sub-divisional Hospitals, over 80 Health Centre’s and 99 Nursing Stations in 2014. You can use our interactive map to locate your nearest health centre. Communities are served with adequate primary and preventative health services, thereby protecting, promoting and supporting their wellbeing. Communities have access to effective and quality clinical health care and rehabilitation services. Health system strengthening is undertaken at all levels of the Ministry. Reduced burden of Non-Communicable Diseases. Begin to reverse spread of HIV/AIDS and preventing, controlling or eliminating other Communicable Diseases. Improved family health and reduced maternal morbidity and mortality. Improved child health and reduced child morbidity and mortality. Improved adolescent health and reduced adolescent morbidity and mortality. Improved environmental health through safe water and sanitation. You can read more about the above outcomes in the Ministry of Health’s Strategic Plan 2011 – 2015, available for download in this section. The major health issues facing Fiji include the burden of non-communicable diseases on or population, an increase in maternal mortality rates, slow progress in achieving international targets for Under 5 mortality rate, immunisation rate hovering around 95% and a lack of multi-sectoral approach in addressing social determinants of health. The Ministry of Health is facing many challenges when in comes to health in Fiji, despite this, MoH is always focused on working closely with government departments, development partners, private and non-governmental organisations, faith-based and professional groups to ensure the people of Fiji continue to receive improved and quality health care. The Wellness policy is a key initiative of the Ministry that will ensure primary health care initiatives in all levels of care, are integrated to improving and achieving the ultimate health outcome of Health and Wellness of the population of Fiji. The Wellness Unit was created by merging the National Centre for Health Promotion with the Non-Communicable Disease Unit in February 2012. The wellness approach, often referred to as the ‘rainbow approach’ was adopted after the 2012 symposium. The approach refocuses service delivery, specially targeting the (7) age cohorts: baby, infant, toddler, child, teenager, adult, senior citizen. Wellness action is focused on the seven (7) gifts of life: breathing, eating, drinking, moving, thinking, resting and reproducing. Whilst the MOH is seen as the leading agency in wellness service delivery, community collaboration, partnership and social responsibility hold the key to harvesting Wellness in Fiji. The Ministry of health would like to acknowledge the tireless efforts of the many hardworking health Non-Government Organisations (NGOs) in Fiji. Their efforts to support the people of Fiji have created real and positive impact in the path towards better health for all Fijians. By virtue of the Medical and Dental Practitioner Decree 2010 the Fiji Medical Council & Fiji Dental Council preserves its status. Each Council consists of 9 members; 3 members from each Council make up the Board of Management that governs the administration of the Secretariat. Each Council has a Professional Standards & Professional Conducts committee that assists the Council in execution of its function. Protect the health and safety of the public in relation to the practice of medicine and dentistry. The Councils possess the authority to register or deregister and licence Medical & Dental Practitioners in Fiji. Powers to regulate the provision of medical and dental treatment to ensure that high standards are maintained. Proactively ensures that the practitioners perform competently and conduct themselves with integrity and fairness. The Ministry of Health is grateful to our development partners and donors for the work they do in assisting us to improve the health system and the health of Fijians. Review Ministry of Health Corporate Plans 2008 – 2014. You can download and review all current policies of the Fiji Ministry of Health below.